Ricarda Mosso spent years trying to get management at Sunshine Shirts Laundry Center in Bay Ridge, Brooklyn, NY, to address her by her own name. Instead, she was mockingly referred to as “Richard” by her bosses. As a laundry worker, she experienced routine wage theft, physical abuse and skin burns from broken and unsafe machines. After years of these illegal and dangerous working conditions, Mosso and her coworker María García took a stand. 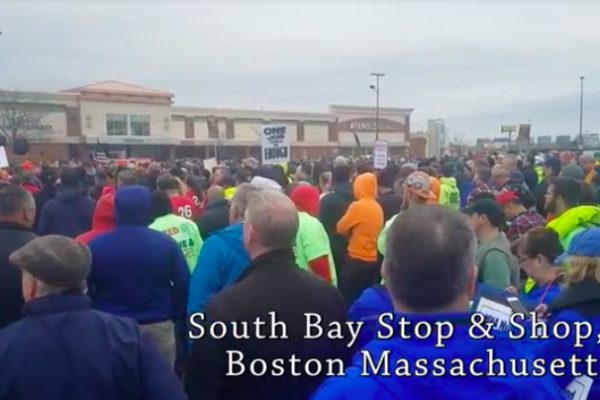 On Feb. 16, the workers, along with 85 of their community allies as well as friends at the Laundry Worker’s Center, gathered in protest at Sunshine Shirts to submit their demands for fair wages and safe working conditions. This has been a winning combination. Mosso and García, the only two workers at Sunshine Shirts, have since won a raise, some benefits and better working conditions. They are now fighting for back wages. Management, including boss Sharon Chen, quickly retaliated. They cut the worker’s hours, changed their schedules, and imposed false work quotas. But the workers persisted. After several actions outside of the Sunshine Shirts and after hours of negotiations, the workers won $14.28 an hour, a guaranteed set schedule of 35 hours per week with lunch breaks, reduced workload and an improved work environment with proper heating and protective gear. 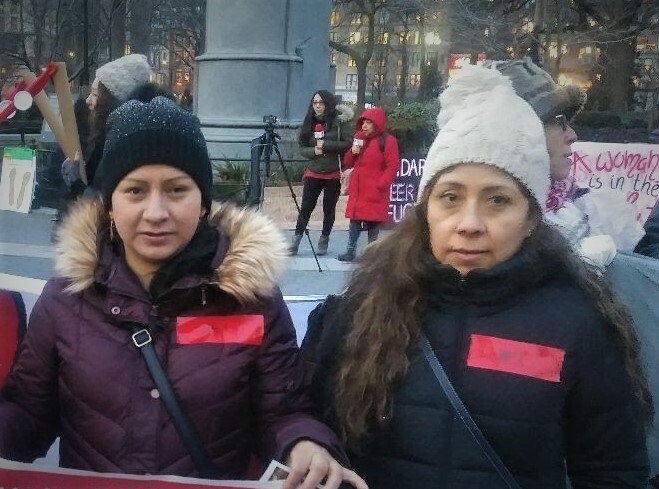 To prepare for this campaign, García and her coworker trained with the Instituto La Cuadra Progresista (Progressive Block Leadership Institute), a program created by the Laundry Worker’s Center which helps empower workers to know their rights and gain skills to organize their workplace. It is the same program that helped Juana and Nicholas, workers at TYS laundromat in East Harlem, fight back and make gains against similar conditions last year. TYS also employs just two workers. The next steps in both campaigns, at Sunshine Shirt and TYS, is negotiating for the back wages that the workers are owed. At TYS, the company first made the offer of $20,000. Rodríguez-Aran describes this offer as “a joke” compared to the estimated $200,000 in back wages that they owe. The slow pace of these negotiations and the retaliation experienced by the workers has led LWC to hold weekly Thursday night actions in front of the store, passing out flyers to community members encouraging them to pressure the bosses to pay what they owe. 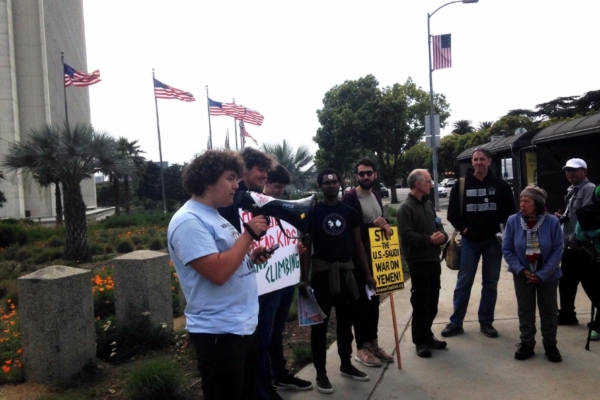 In addition to the active campaigns at TYS Laundromat and Sunshine Shirts Laundry Center, the Laundry Worker’s Center is currently preparing to launch a third campaign, which is still underground. 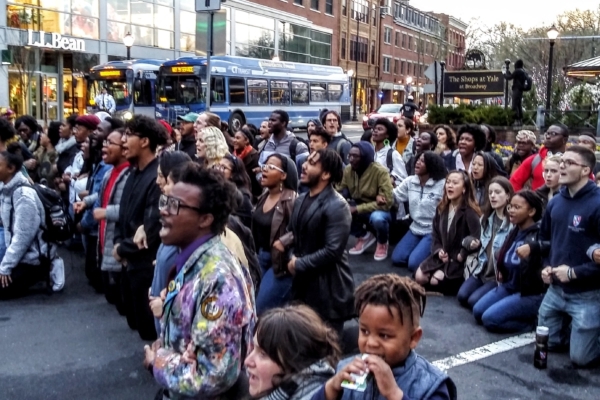 They also organized a presence at a major March 8 activity, the International Women’s Strike, which highlighted some of their work. 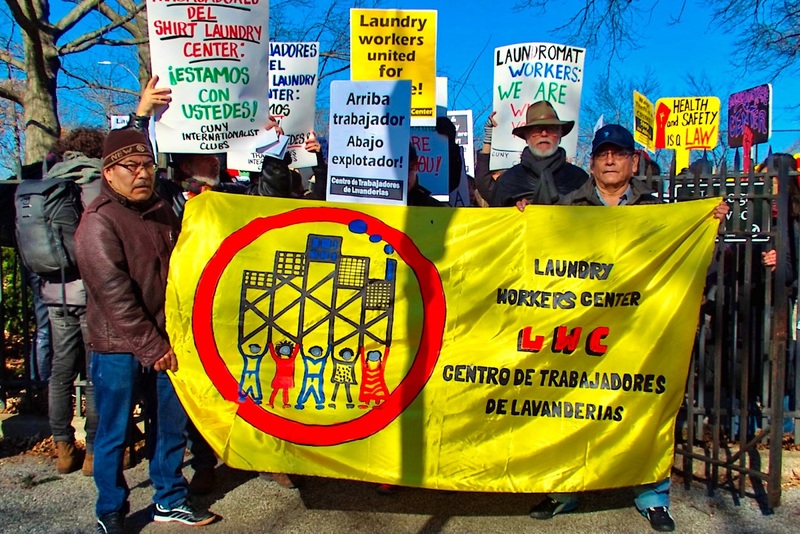 The Laundry Workers Center is a not-for-profit, member-led organization that provides community-based leadership development to improve the living and working conditions of some of the most vulnerable members of the working class–low wage laundry, warehouse, and food service workers in New York City and New Jersey.